Signal Single Rope Bracelet. Found them in Newport, Rhode Island. The size on this one is Large (fits 8 inch wrist), which is too big for me. 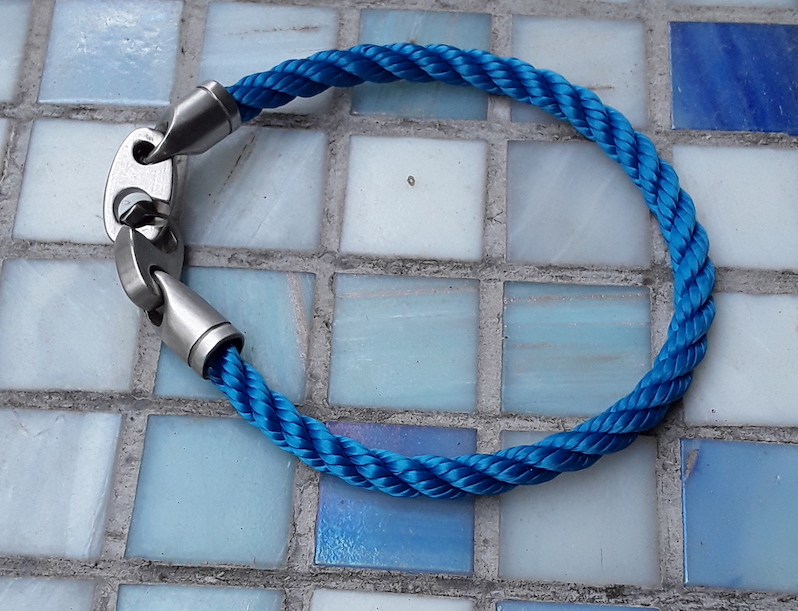 Steel brummels with braided marine rope in an ocean blue color. If you want it, let me know. Shipping to U.S. addresses only.